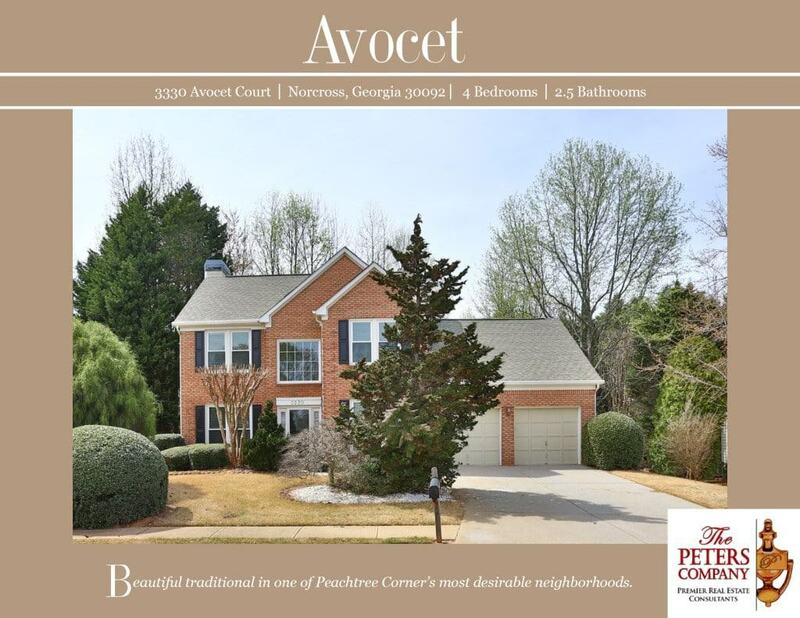 Just Listed :: Wonderful Traditional in Avocet Swim/Tennis! Kitchen features stainless steel appliances, ample cabinet and counter space, pantry, island, and breakfast area. Formal living room and separate dining room are perfect for entertaining. Spacious family room has a cozy gas starter fireplace with marble surround and plenty of natural light. Master suite is a true retreat including trey ceiling, walk-in closet, and private bath with dual vanities, jetted tub, and separate shower. Sunroom provides great additional living space. Garage easily fits two vehicles and extra storage. Wonderful outdoor space includes a patio overlooking the level backyard. Convenient location close to restaurants and shopping. ← Just Listed :: Adorable Condo in Heart of Buckhead!